What’s better than a perf ect summer cocktail? A healthy summer cocktail of course! Fresh young Thai coconut is a delicious treat, with the coconut water supplying natural electrolytes to help us replace fluids, salts and minerals lost during the heat of summer – especially after an intense day of exercise or time in the sun. Coconut water is very high in potassium, low in sugars, has a modest amount of sodium and a light, nutty flavor. Blended with the young flesh, it makes a deliciously creamy drink for summer. The coconut flesh is rich in protein, fiber and medium chain fatty acids, including lauric acid which is naturally antiviral and antifungal, helping to prevent yeast overgrowth, and supplies a quickly digested source of energy for an improved metabolic burn. Fresh lime juice supplies Vitamin C, and using maple syrup as a natural sweetener provides B-vitamins and minerals. Pineapple is of course a delicious and nutrient-packed fruit, high in the antioxident Vitamin C and the mineral manganese. The core of a pineapple contains the enzyme called bromelain, a natural anti-inflammatory enzyme which contributes to healthy joints and can ease symptoms of arthritis by reducing inflammation. Smoothies (or coladas!) 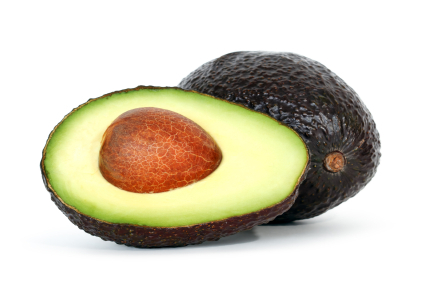 are a great way to use the tougher core that is sometimes less desirable to munch. I love it when there is a great reason to make a summer drink! Before whipping up your frosty summer cooler, learn how to open a young Thai coconut, by watching this video. Carefully pour coconut water into a blender jar and scrape out all of the coconut meat, adding to the coconut water in the blender. 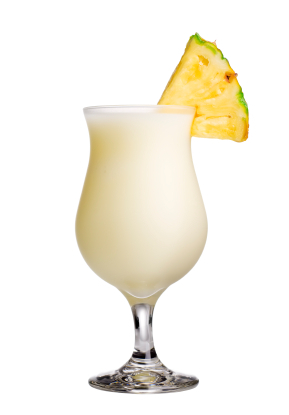 Add pineapple chunks, lime juice, maple syrup and ice and blend to a frosty smooth drink. Add extra lime juice or maple syrup if necessary. Spike with dark Jamaican or Barbadian rum if desired. *organic pineapple is also available frozen in natural food stores and co-op groceries – making this even easier! When it gets hot in Minnesota, you can’t miss it. First of all, it feels so darn good after all those months of hunching shoulders against the cold to feel a warm breeze. Then it quickly becomes oppressive because our bodies hardly know what to do after the rapid temperature swing that has switched from cold to hot in just a week. If you typically live in a climate-controlled environment, then eating choices might not seem so variable when the temps swing from cool to hot. But if you don’t use air conditioning – whether by choice or by circumstance – then days like this might mean something entirely different appeals to the palate than the usual supper fare. I like main dish salads this time of year (disclosure: I like main dish salads most times of the year, with the exception of November–January) that deliver a good balance of nutrition with easy to digest proteins, light grains, and plenty of vegetables with a modest amount of healthy fats. Tonight my plan is based on what I have in my refrigerator: super fresh locally-grown organic spinach from Uptown Farmers (my ultra-local custom “CSA”), regionally local Living Waters hydroponic vine-ripened tomatoes, Kalamata olives (from the Wedge…..via Greece! ), and a local feta from Singing Hills Goat Dairy that I picked up at the Mill City Farmer’s Market. From this, I’ll make a Spinach Greek Salad, serve it with a Quinoa Tabbouli plus a little Chickpea-Tomato Salad with Mint. The tabbouli will be just like a regular tabbouli, only it will be gluten-free and protein-rich by using quinoa instead of bulgur, the spinach salad will be just like a regular Greek salad except I’ll be using spinach because it is in season and so wonderful right now, and the chickpea salad is just a quick way to pull together a good plant-based protein with tomatoes and fresh herbs. It is a good idea anytime to try and eat a greater proportion of plant-based meals: the protein in beans and lentils is easily digested and assimilated, as well as providing fiber and important vitamins while naturally aligning with an eco-conscious decision to tread more lightly on the planet. Tonight, our supper will not be too heavy, but not too dainty either – perfect for a hot summer night. 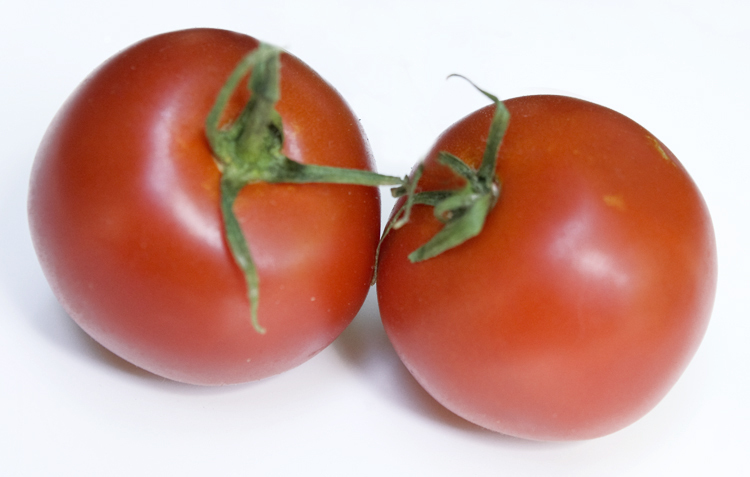 Combine garlic, tomatoes, salt and olive oil together in a small bowl and let marinate for 10-15 minutes. Add drained chickpeas and chopped mint, season to taste with additional salt, if necessary, and freshly ground pepper, and serve immediately. Store leftovers in a glass container and eat within 3 days. 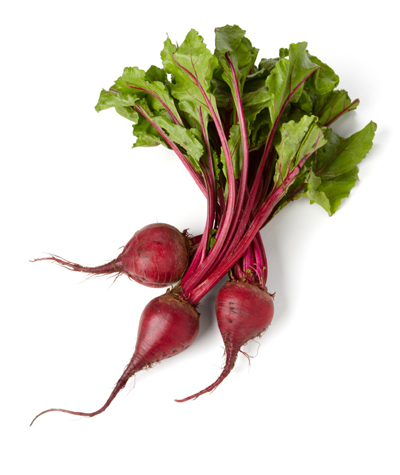 A blog on beets from my StarTrib blog – and a modern borscht for spring!